One of the best ways to have a healthy pregnancy is to eat a variety of nutritious foods during those nine months. However, even if you’re making healthy food choices, you may not be eating as well as you think. If you’re not choosing organic, GMO-free food you’re missing part of the bigger picture. Case in point, a recent study shows that most of the common pesticides and chemicals used in GMO crops are present in the blood of both pregnant and non-pregnant women and their babies. 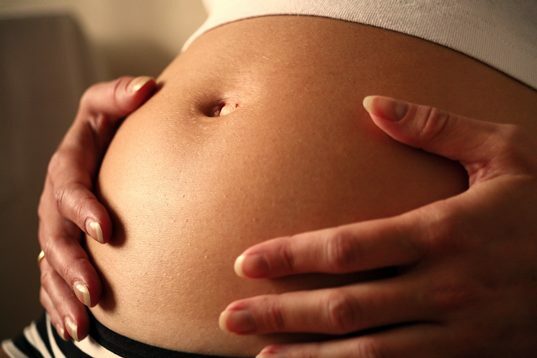 Blood samples of 67% of non-pregnant women contained chemicals associated with GMO food. Scarier than this, was that these chemicals were found in 100% of the blood samples taken from pregnant women and their unborn babies. GMO food and pesticide and chemicals in foods have been linked to all sorts of big bads, such as disrupted male hormones, long-term sterility, poor central nervous system development, learning disabilities, possibly stunted growth, early puberty in girls and more. It’s been estimated that a full 70% (or more) of all processed food at the supermarket contains genetically modified ingredients; not that you’d know, because the FDA does not require companies to label, or even disclose if their products contain GMOs. So, if you’d like to avoid GMOs what can you do? Buy organic! By law, USDA certified organic foods may not contain any genetically modified ingredients. 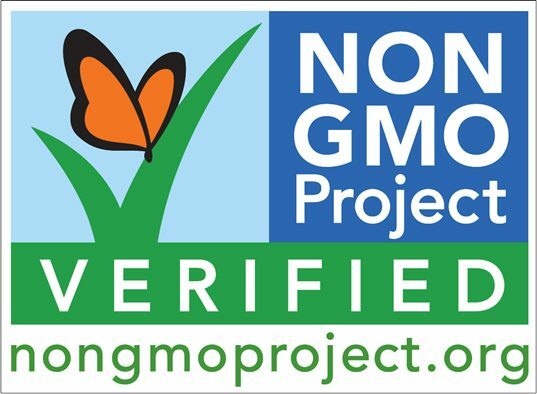 Look for products that have the Non-GMO Project Verified Seal (shown above). Visit the Institute of Responsible Technology for a full list of foods that are GM. Tell the FDA to regulate genetically engineered foods. Lead image © christgr via sxc.